It occurred to me the other day that one of the most important early decisions that you can make when considering purchasing or selling real estate is the selection of a REALTOR®. It's no secret that real estate agents, as a whole, are not really held in high regard, and certainly much of it is well deserved. So how can you meet and talk with a real estate agent without feeling pressured, sold to, or just plain intimidated by them? Other than meeting them in their natural habitat (an open house, a real estate office, when they "call you out of the blue" at meal time) it's really kind of difficult, and frankly too important a decision to leave to chance. Which, by the way, is how many people end up with their real estate agent. One of the reasons that I maintain this and several other real estate information websites is for people to get to know me and a lot about the real estate processes of buying and selling - without the pressure. Over a period of time, you'll get to know me, my personality, how I work, and get a feel for what I believe. Buyers and sellers deserve great real estate experience, and really great experience really does begin with a really great agent. When picking your real estate agent (or REALTOR®), it's a really good idea to find a person with a personality similar to your own - you might be spending a lot of time together and it might as well be fun and productive. It doesn't cost you any more to use an experienced, fully trained and well-qualified agent that gets to know you and your needs. In fact, it can save you considerable time, aggravation and yes, even money! And when you use their services repeatedly, or refer them to your friends or associates, they'll get to know you even better - saving you more time, aggravation, and more MONEY! So for those folks out there looking for a real estate broker and REALTOR®, I'm happy to meet with you at any one of my satellite offices (aka - Starbucks) and have a great cup of coffee and a conversation with you. I really love to meet new people, and in particular those that turn out to be really great clients or friends. At this initial meeting we'll get a feel for each other so that I can understand your goals and motivations and make sure we're a good fit to work together. Of course, I also do phone consultations for those that don't drink coffee - or are just shy. Call me - 403-860-8291 - if I'm available I pick up the phone and... answer it personally! You won't have to talk to an office answering service that takes a brief message only to text message in out to me in "40 characters or less." I also have a digital voice mail system that takes your detailed messages when I am otherwise engaged (like driving, showing houses, or in a consultation with another client or potential client). 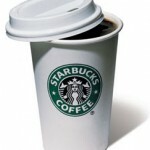 So, let's meet for a "Starbucks" - just email, call or text message me today!